The idea of having a Family Motto is not a new one. This family, however, did not have one. Since Hubby and I will have been married for 12 years this year, and oldest is almost nine, we figured it was about time we came up with a motto for our family to live by. When Hubby and I were talking about possibilities, we kept coming back to the same general ideas. We want our kids to be okay with hard work and to have a desire do their best. We also want for our boys to not take for granted the things they have. We want them not to be tempted to take the easy way out. We want them to not focus on their have-nots, but to see their haves. From those desires our Family Motto was born. I can't take credit for the exact wording. that is all Hubby. 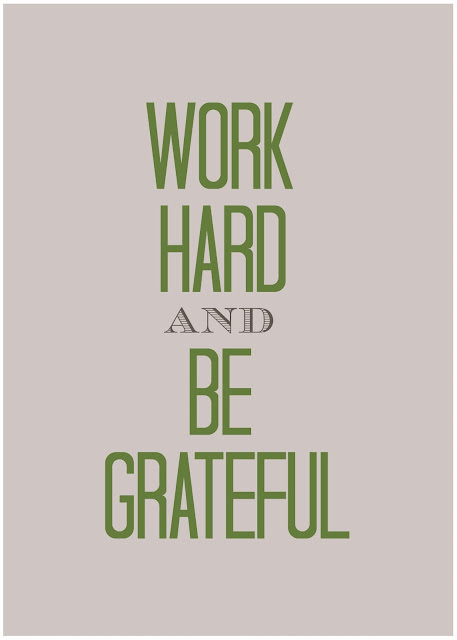 "Work Hard and Be Grateful". We presented it to our boys. We talked about what we wanted our family to be known for. We were all in agreement this was a pretty good motto to live by. I told the boys I would make a poster that we could see every day to remind ourselves. So make a poster I did. I used picmonkey. I put together a little how-to if you want to make your own Family Motto poster. I used all of their free edits, so no worries if you don't have the royale upgrade. Yeah! Then, go to picmonkey and open a blank canvas (learn how to make a blank canvas HERE). Click on the Overlay options. Go into the geometric option and pick the rectangle. There is a site called Design Seeds that is a color wonderland. So many color palettes so little time. It literally has tons of colors gloriously put together for you choosing. If you put your cursor over the color you want to use, the hex code will come up. Then you can hop back over to picmonkey. Then plug in the hex code into color edit box. Enlarge the rectangle over almost the entire blank canvas, leave just enough to make a white border. Then click the merge button on the top tool bar so that the layers are one. Now you can play around with the fonts. One of my favorites, Tall Dark and Handsome, is still a free font. Go back to Design Seeds and get your next hex code. I chose the coordinating green. Enter the color code into the edit box. Also now is the time to make your font the size that fits on your poster. In enlarged my main font to 675. Position your words where you want them. For a nice touch, pick another coordinating color for part of the motto. Maybe even choose a different font. Continue with the rest of the words. Make sure all the words are the right size and color. Put them where you want them. Depending on how big you want the poster you will need to resize it. Once the canvas is the right size all you have to do is order a print. Then you are all ready to hang your motto in your home. What is your family motto? I would love to know. Where did you put it so that everyone would see it everyday? Let's see it hung in your house! I know, I should have! Darn it! I will have to soon. Misty, you know I will!! I will talk to you about colors and then BAM, for you friend it is done! AWESOME tutorial!! thank you so much. I just whipped up a poster that I needed for a class I'm teaching. Perfection!